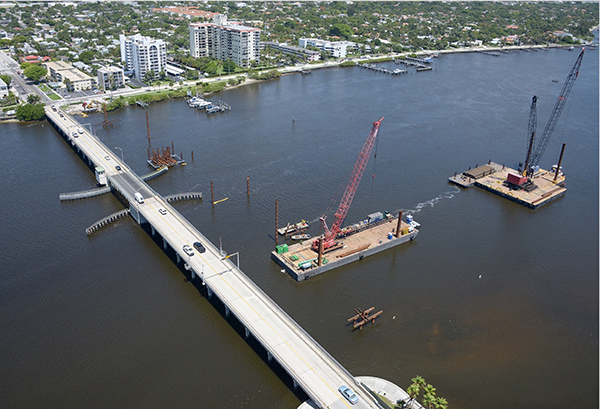 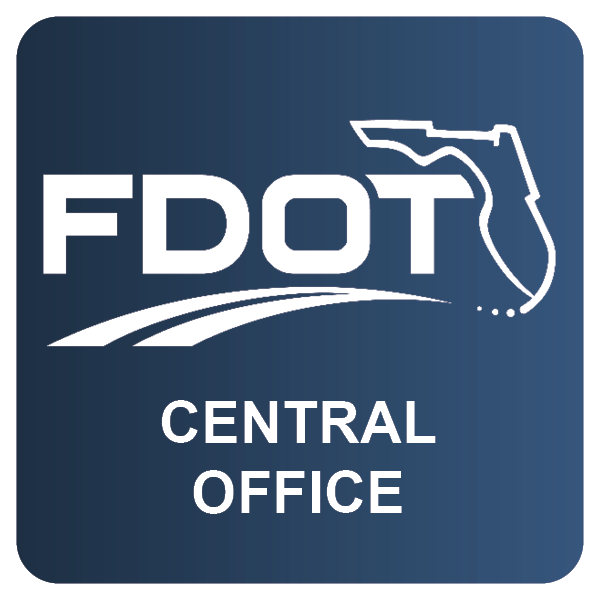 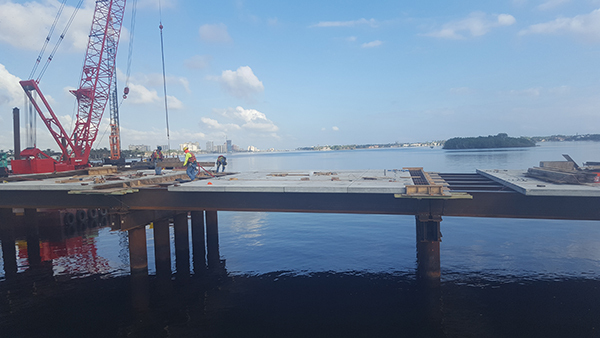 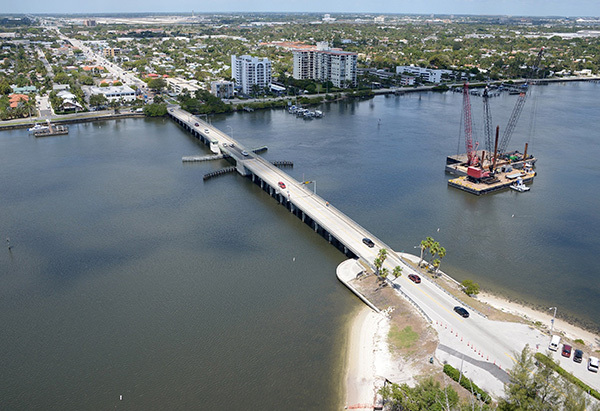 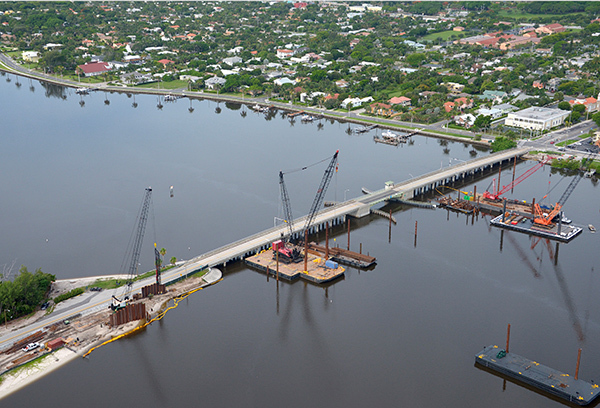 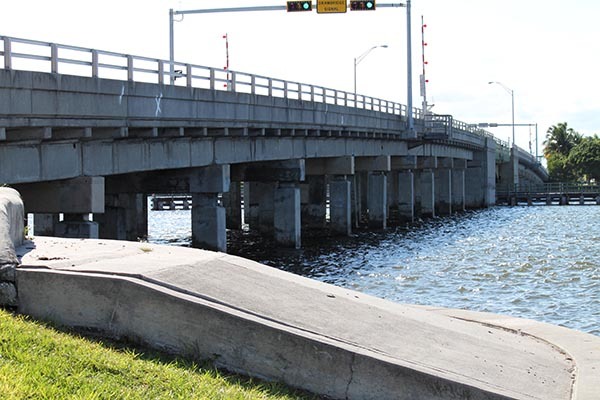 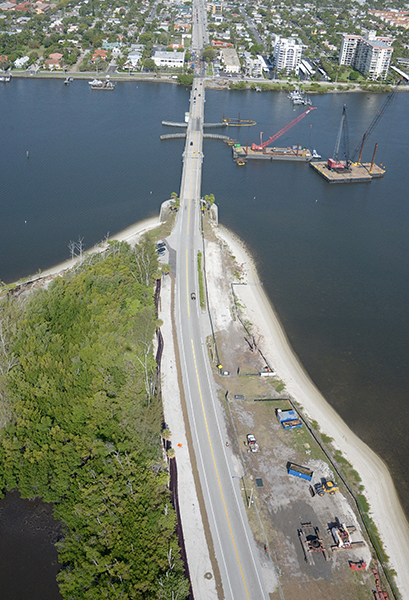 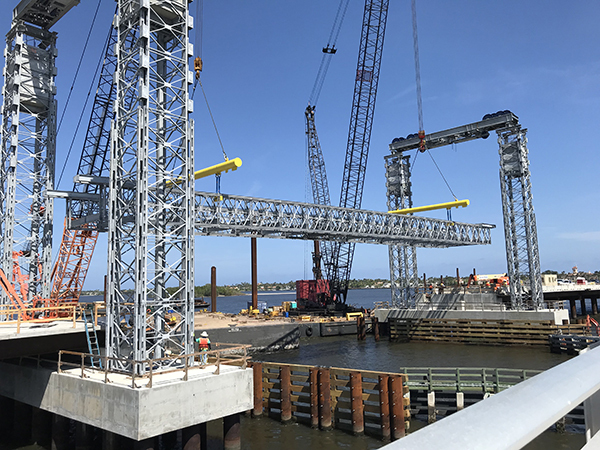 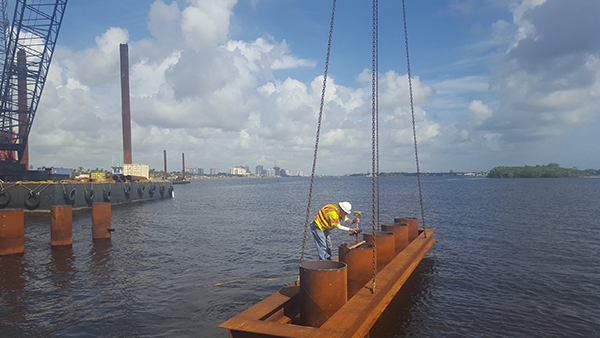 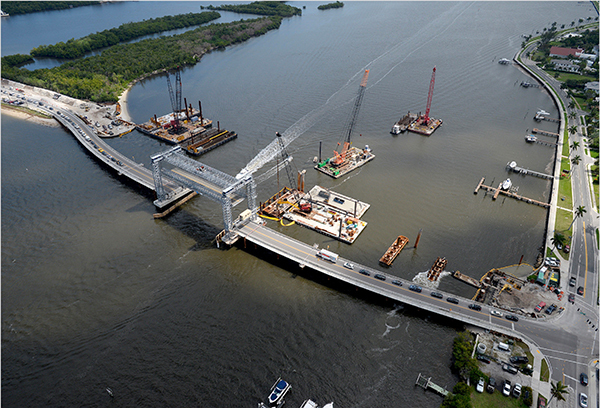 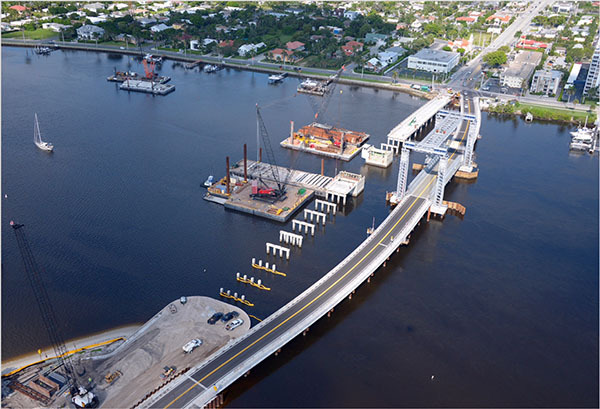 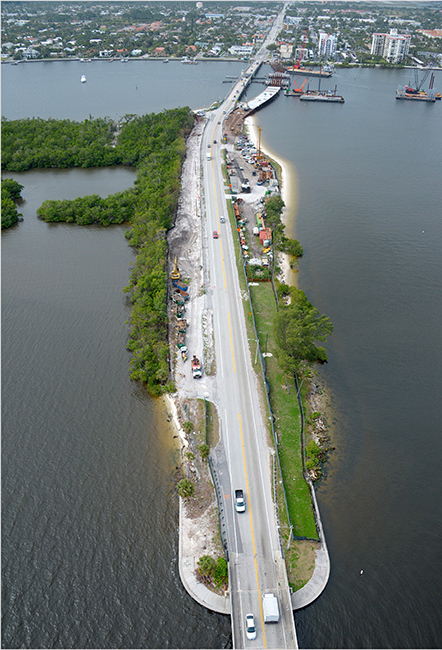 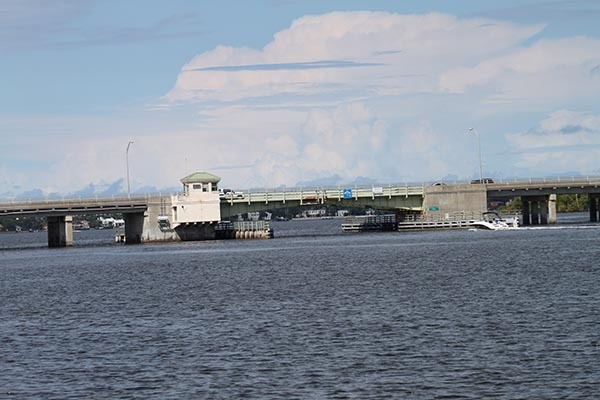 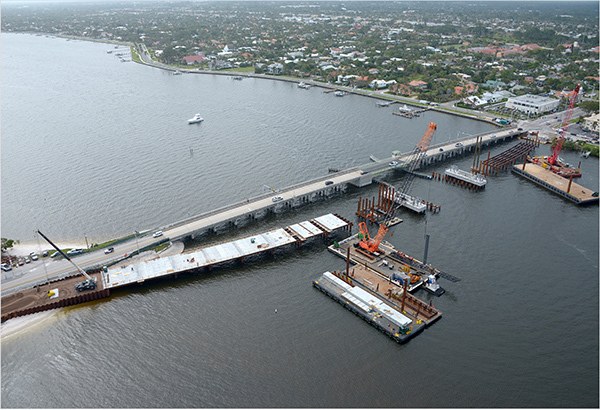 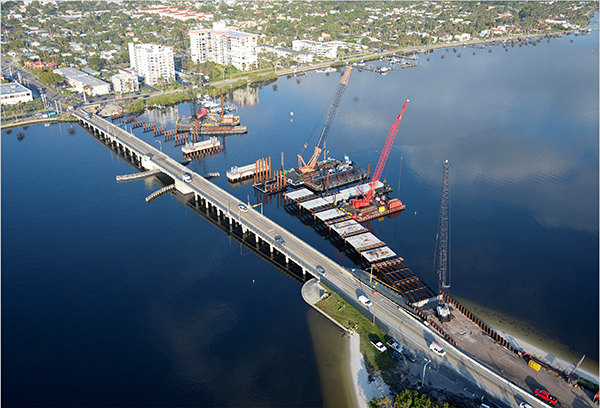 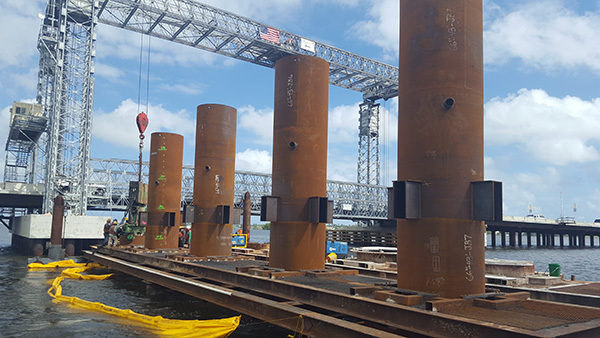 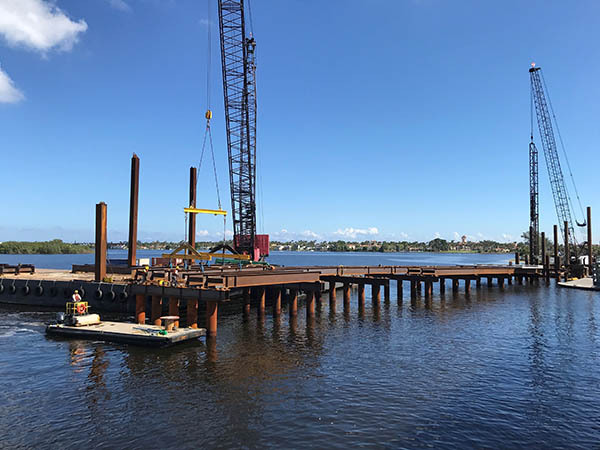 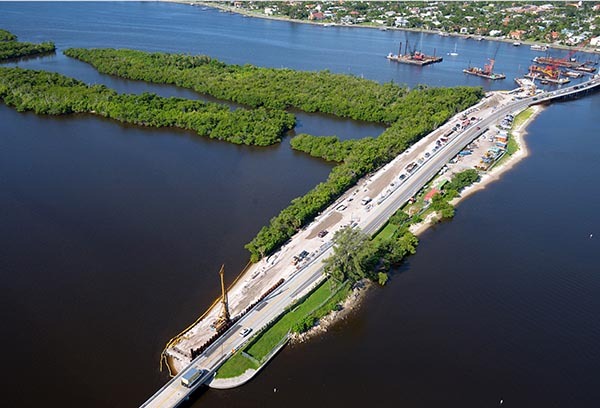 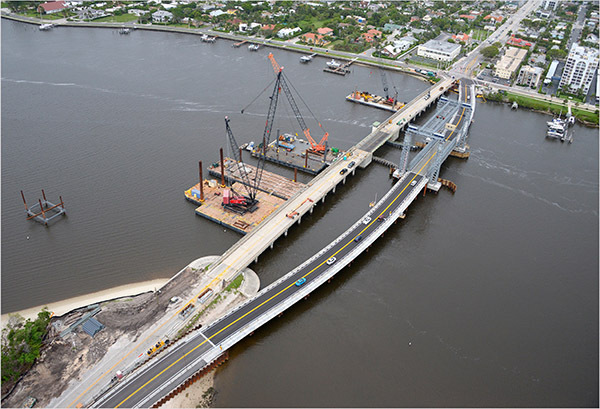 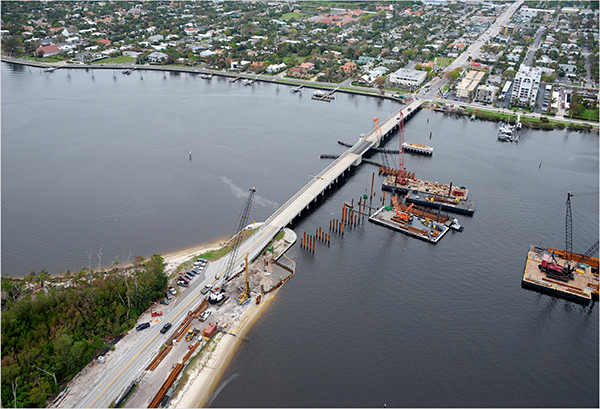 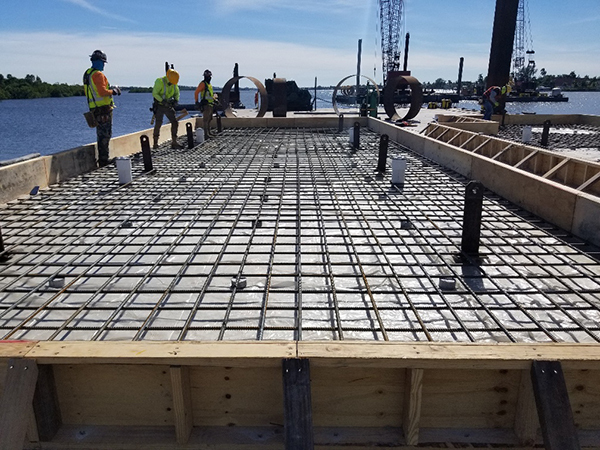 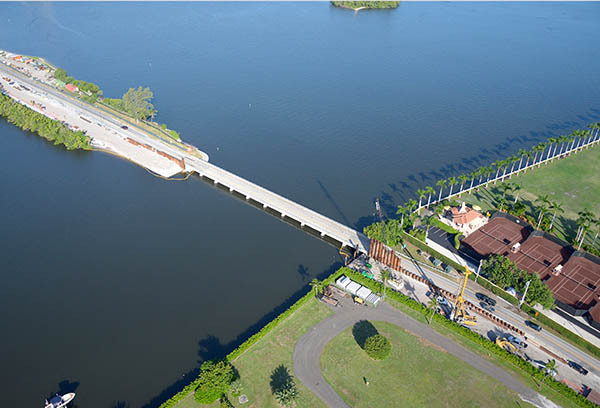 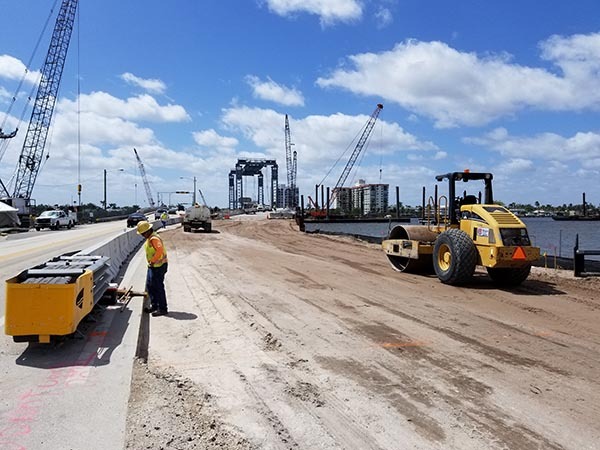 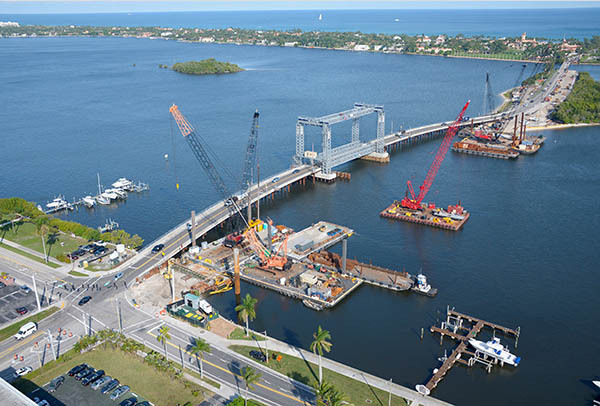 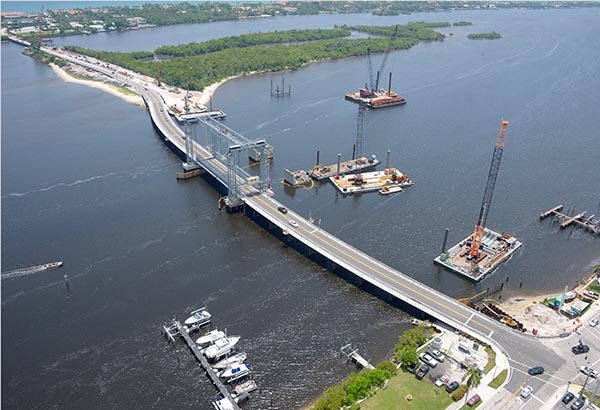 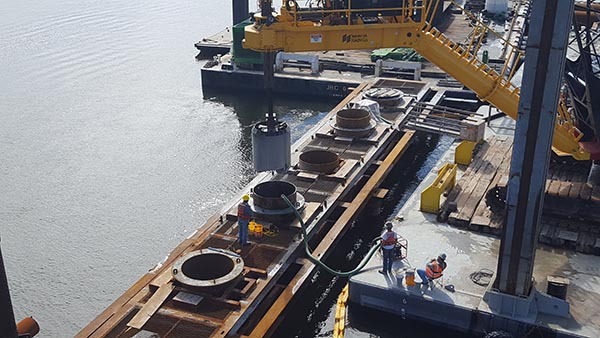 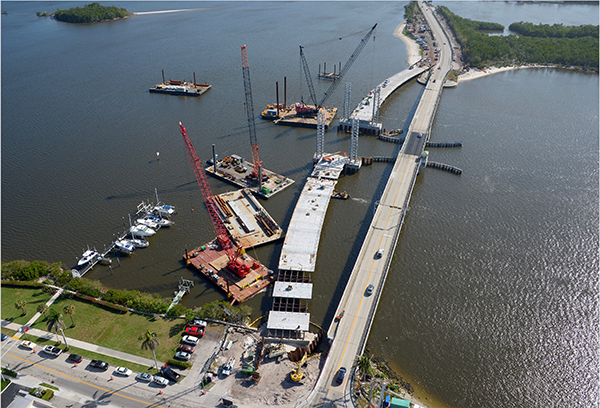 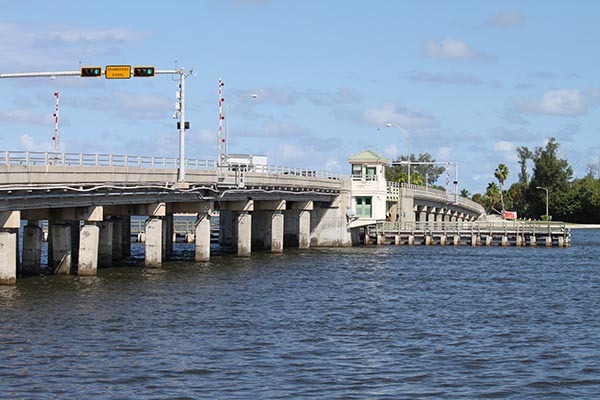 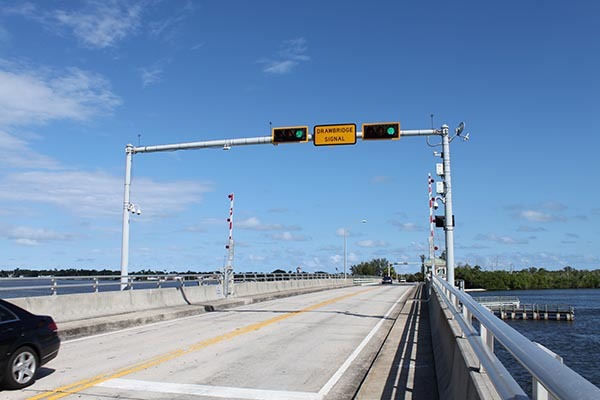 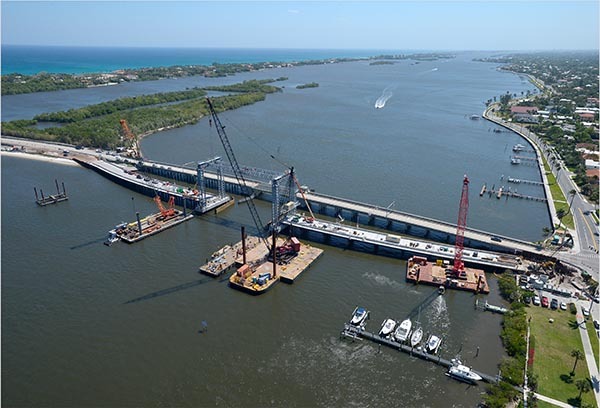 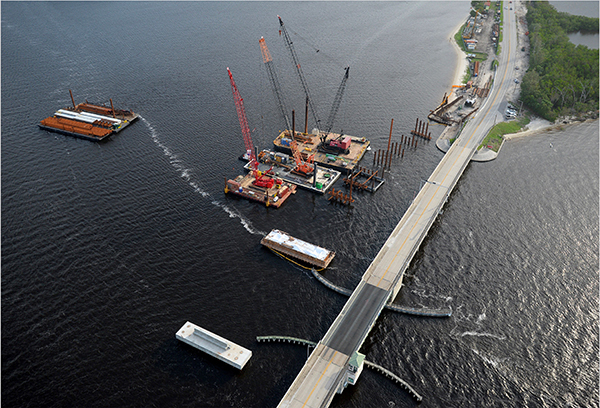 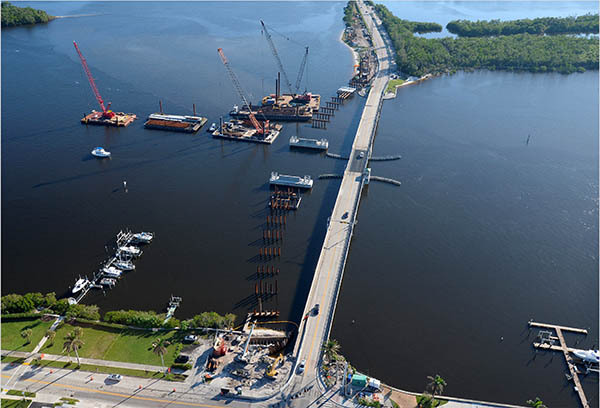 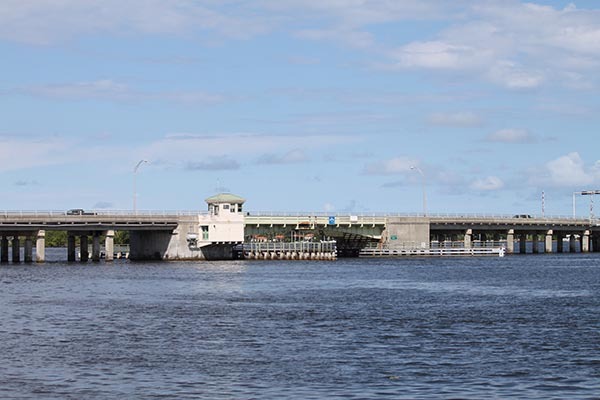 Work includes replacing the existing bascule (draw) bridge and tide relief bridge over the Intracoastal Waterway (ICWW) and Lake Worth Lagoon between the Town of Palm Beach and the City of West Palm Beach. 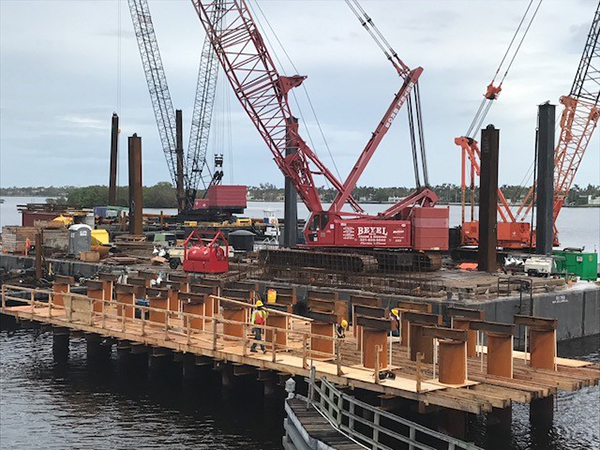 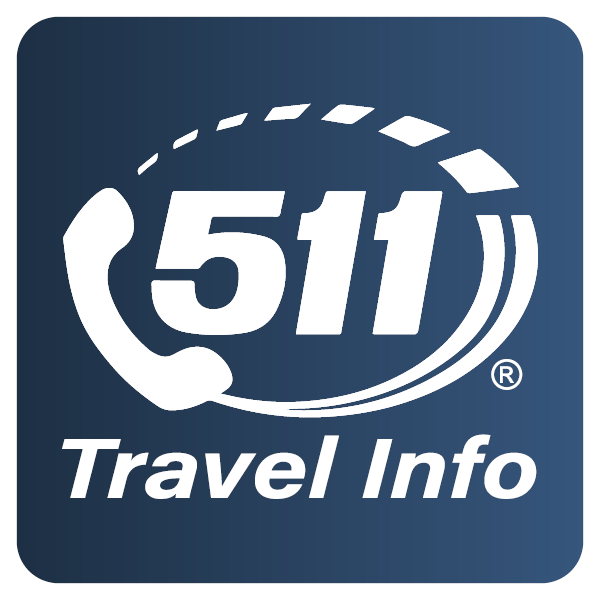 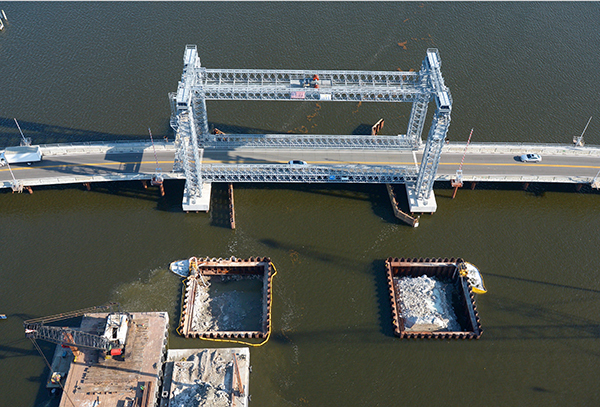 A temporary bridge will be built north of the existing bridge to maintain traffic while the replacement bascule bridge is under construction. 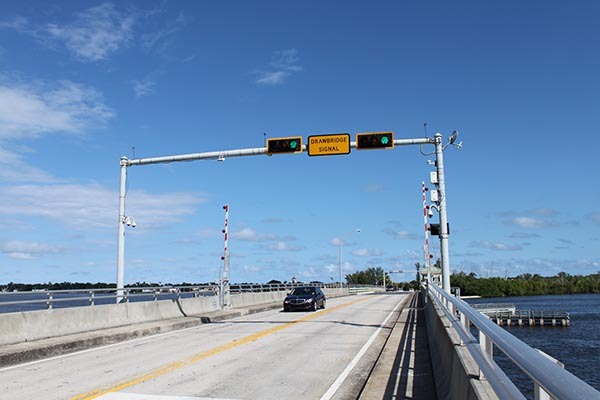 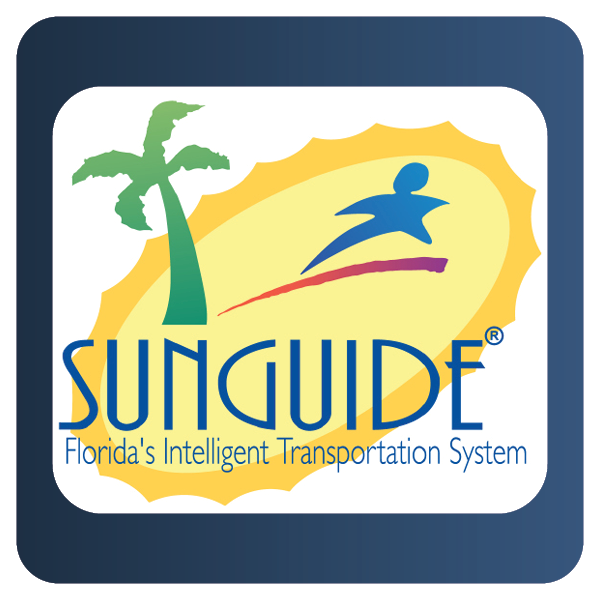 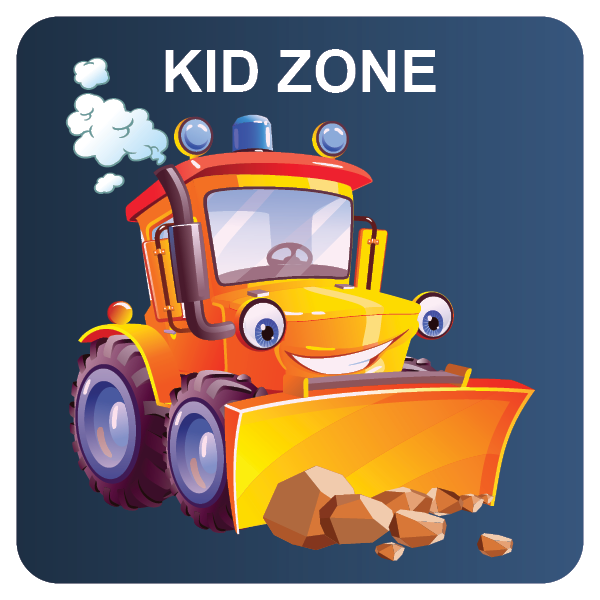 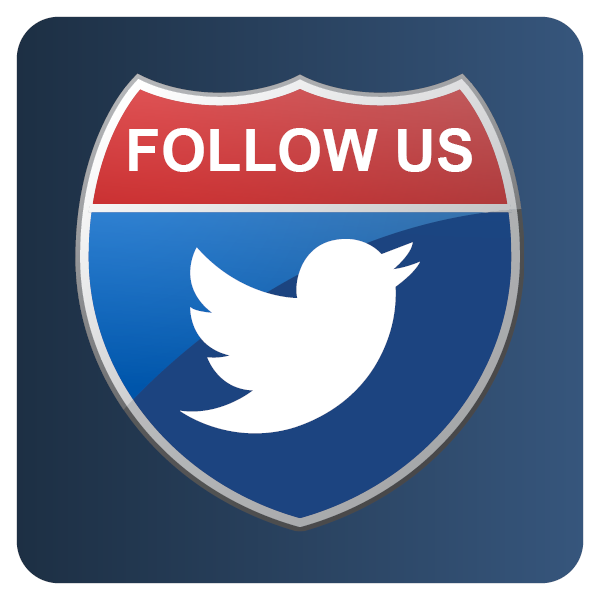 New decorative lighting, pedestrian features, traffic signals, signage and drainage are also included.